My trusty Mountain Buggy Urban is still a regular fixture in our family life and I’m always excited to see the improvements the company makes rather regularly! It’s hard to imagine the range can get any better but they have done it again with a host of adjustments, making each Mountain Buggy even more perfect than before. First up are a few new names to familiarise yourself with. The Urban has become the ‘Urban Jungle’ and the Urban Double has become the ‘Duo’. The Terrain has disappeared from the range but the relatively newly released ‘Swift’ (which I covet every day) is there in its two-toned beauty. 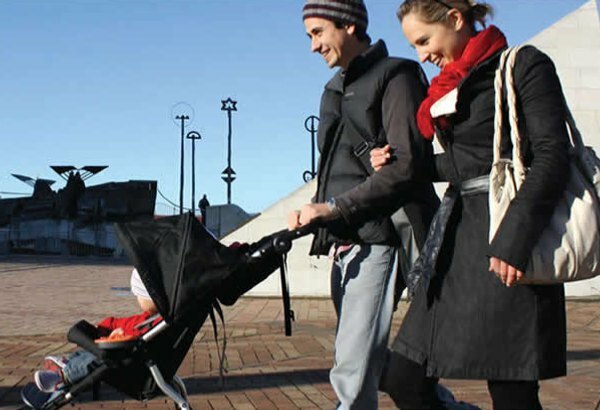 Improvements include narrower wheel bases, bigger sunhoods, new detachable bumper bar and new ‘click-and-go’ mechanisms on all carrycot attachments so no baby waking needs to occur to move baby from pram to house. So now it’s back to the drawing board for me to work out how I can get one of those fab red and black Swifts despite my ‘baby’ being nearly two and a half! Enjoy your new updated Mountain Buggies people.